Give this plant lots of space so the leaves can grow straight out. This one was crowded, so the leaves are bent and probably won't straighten out. 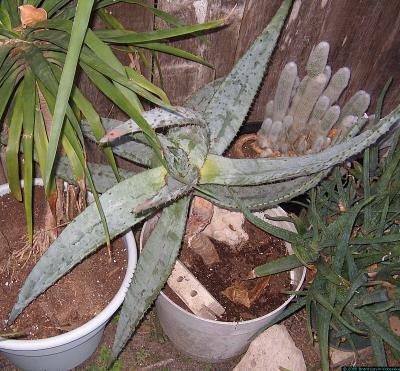 It likes lot of water during it's growing season, and lots of sun makes healthy leaves with lots of spike-like spines. It has never pupped or flowered...yet. Everyone who sees it has to look again.